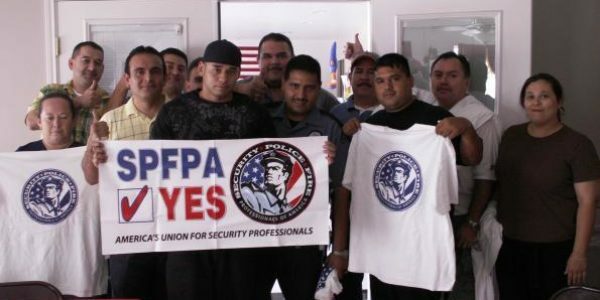 The International Union, Security, Police and Fire Professionals of America (SPFPA)™ is the “Authority of Security Unions” Nationwide. SPFPA™ members provide security services for the Department of Defense/NASA, Aerospace, U.S. Department of Energy, Federal Courts, nuclear facilities, prisons, detention centers, correctional facilities, armored car, casinos, entertainment, Federal, State and County Buildings, Military installations, universities, hospitals, public utilities, automotive, airports, seaports, Homeland Security facilities and industries. What makes SPFPA™ different from other security guard unions? We take pride in the important role our members perform to keep our communities, businesses, and neighborhoods safe and secure. We recognize the need to protect those who protect and serve our great Country. As your SPFPA™ representative, our job is to advance the professionalism and welfare of the men and women working in the security industry through legislation, education, training, and collective bargaining, to protect the livelihood of our security professionals and their families and gain the respect they most certainly deserve. The International Headquarters has 200 Local unions located throughout the world. The SPFPA™ consists of over 1,000 Local Union Officer Representatives, full-time Vice Presidents, Directors, and staff who are experienced and on hand to negotiate contracts, settle grievances, enforce contracts, organize the unorganized and assist in answering your questions. Joining SPFPA™ provides a strong, prominent legal firm that specializes in the representation of labor law and defending worker’s rights. SPFPA™ has the ability to negotiate on your behalf quality based medical benefits and 401k savings programs, with a full-time Service Team to assist with enrollments, selections, and claims. The SPFPA™ represents thousands of security police professionals working for such contractors as G4S, Akal, Alutiiq, American Corporate Security, Basic Contracting Services, C & D Security, Chenega, Coastal, Deco, Diamond Group, Elite Protective, FJC Security, Garda, Geo Corrections and Detention, Inter-Con, Jenkins, Knight, Loomis, Masters, Paragon, SecTek, Securiguard, Securitas, Security Consultants Group, Spectrum, Trinity, Vendtech, and Whitestone, just to name a few. As contractor’s change over at a rapid pace, your job and your benefits are jeopardized based on the lowest bid. SPFPA™ is here to protect you and provide stability in your job, through a Collective Bargaining Agreement; protection that you and your family most certainly deserve. Organize a union to negotiate with your employer your wages, hours and other terms and conditions of employment. Bargain collectively through representatives of employees’ own choosing for a contract with your employer setting your wages, benefits, hours and other working conditions. Discuss your terms and conditions of employment or union organizing with your coworkers or a union. Take action with one or more coworkers to improve your working conditions by, among other means, raising work-related complaints directly with your employer or with a government agency and seeking help from a union. Can I legally be fired for forming or participating in organizing a Union? The answer is “NO”. The law says you have a right to join a union. The National Labor Relations Act , Section 7, clearly states, “employees shall have the right to self-organization, to form, join, or assist labor organizations, to bargain collectively through representatives of their own choosing, and to engage in other concerted activities for the purpose of collective bargaining or other mutual aid or protection, and shall also have the right to refrain from any or all such activities except to the extent that such right may be affected by an agreement requiring membership in a labor organization as a condition of employment as authorized in section 8(a)(3), Section 158(a)(3) of this title. Section 8(a)(3), Discrimination Against Employees, makes it an Unfair Labor Practice for an employer to discriminate against employees, stating “in regard to hire or tenure of employment or any term or condition of employment” for the purpose of encouraging or discouraging membership in a labor organization. In other words, the Act makes it illegal for an employer to discriminate in employment because of an employee’s union or other group activity within the protection of the Act. How does the Union function? Who Runs the Union? SPFPA™ is a democratic union, whereby Union Officers are elected by the membership. 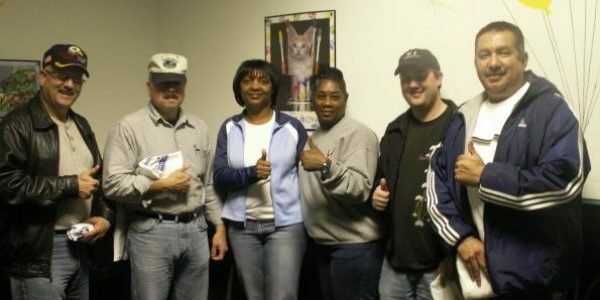 Each Local union is granted with a Charter, establishing a Local and Local Executive Board. Officers of the Local and representatives from every shift will be elected by members throughout the entire facility and each shift will elect representatives to assist with running the Local. New Locals are guided with step-by-step instructions on how to get set up, receive training on leadership, fiduciary responsibilities, and grievance processing. Your Local is as strong as its members. That’s why Locals need to take initiative to become involved by attending Union meetings, becoming Shop Stewards, educating themselves of their rights, participating on committees, and taking an active union role, encouraging union membership and organizing more facilities. If, however, sites want to be organized, but do not have any interest in becoming their own Local, they are placed within existing local that usually has long-standing, experienced officers that will take care of the business involving union matters. It is a win/win option for SPFPA™ union members. Do we pay union dues as soon as we become organized? Although some unions do charge union dues immediately after they become certified by the NLRB to represent you, the SPFPA™ does NOT charge union dues until a Collective Bargaining Agreement (CBA) has been negotiated on your behalf. In addition, all initiation fees are waived for all everyone employed at the time that the CBA becomes effective. The dues rate is two and a half times your hourly rate per month. Other unions may offer a lower dues structure, but they also offer lower service to their members. In fact, we have had multiple independent unions merge into the SPFPA™ because they were financially unable to provide an appropriate level of service to their membership. The union dues are split between the Local Union and the International Union. What are the benefits of joining SPFPA™? When company policies are not clear and understandable. When work practices are discriminatory, unfair, and unjustly applied. When workers are unclear with respect to schedules, time-off, work assignments, pay reductions in staffing or any other changes. When a company lacks fair, consistent and tactful disciplinary procedures. Disrespectful, discourteous and inconsiderate treatment. The unwillingness of the company to address workplace problems. The unwillingness to represent workers when they are right. A lack of respect, dignity and workplace justice. Low wages, poor benefits and poor retirement plans. SPFPA™ has an expert team of full-time representatives and service providers to meet the needs of SPFPA™ members and their families. We have a staff of prominent labor law attorneys, affordable Health and Welfare Plans and 401k Plans, and both include toll-free Service Centers to assist you. Experienced Union representatives to negotiate your Collective Bargaining Agreement (CBA), and help gain improvements to your livelihood and families. Why is management conducting its scare tactics to keep you from having union representation? Because they are scared/concerned (use a word like this) of workers unity and them having a voice. They also know the SPFPA™ is a great union with a record of helping thousands of security police professionals improve their work lives. The fact is that management does not want to share their power with you. Presently, management holds all the cards. That is the real reason they may not want you to form a union and will go to great lengths to keep the union out. Many companies hire union busters and pay them a very high salary to keep the union out. The union busters will lie and deceive you into believing the company has your best interest. The fact is, they do not. If they did, they would spend the money on their employees and not hire a greedy union buster to assist them. Union busters are only in it for the money and don’t care about anyone but themselves. Union busters tend to have no scruples or morals, and only have one goal in mind, and that’s to pad their own pocket. Don’t be fooled by the anti-union tactics from your employer. Collective bargaining is the process where the Union and the Company negotiate terms and conditions of your employment. The law states management must bargain in good faith over wages, benefits, working conditions and job security, which are mandatory subjects of bargaining. The collective bargaining process is important for you because it provides you and your fellow officers to have a “voice” on matters that affect you and your families. Once a Collective Bargaining Agreement (CBA) is ratified, the union can enforce the terms and conditions of the contract and protect your welfare. Having a CBA is one of the many benefits of belonging to the SPFPA™, with the ability to attain CBA accumulative improvements over the years. SPFPA™ has earned its title as the “Authority of Security Unions” nationwide and has proven strength at the bargaining table with full-time, experienced negotiators and full-time legal advisors to support gaining the improvements you most certainly deserve. How will I gain a voice in my workplace? Laws and regulations at the federal, state or local level. Some, such as wage and hour laws, health and safety statutes and laws against discrimination, apply to both unionized and non-unionized workplaces. Others come into play only in workplaces where the employees are organizing into a union or already have unionized. Unwritten laws: it may be that the way things are in your workplace, established “past practices” and are actually enforceable under the contract or in another legal forum. What is the Service Contract Act? The McNamara-O’Hara Service Contract Act (SCA) The Act requires contractors and subcontractors performing services on prime contracts in excess of $2,500 to pay service employees in various classes no less than the wage rates and fringe benefits found prevailing in the locality, or the rates (including prospective increases) contained in a predecessor contractor’s collective bargaining agreement. The Department of Labor issues wage determinations on a contract-by-contract basis in response to specific requests from contracting agencies. These determinations are incorporated into the contract. For contracts equal to or less than $2,500, contractors are required to pay the federal minimum wage of $7.25 per hour (effective July 24, 2009) as provided in Section 6(a)(1) of the Fair Labor Standards Act. Contractors must also, under the provisions of the Contract Work Hours and Safety Standards Act and the Fair Labor Standards Act, pay employees at least one and one-half times their regular rate of pay for all hours worked over 40 in a workweek. The Service Contract Act of 1965, as amended, provides labor standards for certain persons employed by Federal government contractors to furnish services to Federal agencies. For UNREPRESENTED (non-union) employees, the U.S. Department of Labor determines minimum wages by doing periodic wage surveys in the locality in which the Service Contract employees work. The DOL, then, issues a Wage Determination. There is no protection of a CBA. For REPRESENTED (union) employees, the wages and benefits you bargain replace the minimum prevailing wage for the service contract act. If I’m working under a CBA for one company and another company wins the contract and hires me, can my salary drop? The successor contractor’s obligation is to ensure that all service employees are paid no less than the wages and fringe benefits to which the employees would have been entitled, including prospective increases. Does SPFPA™ provide Health Insurance or 401k benefits? The SPFPA™ established a Taft-Hartley Trust for Health and Welfare and Retirement Benefits because we believe every SPFPA™ Security Professional deserves quality and affordable healthcare benefits. The SPFPA™ Benefit Plans provide stability for members, as contractors continue to change over at a rapid pace, leaving our members vulnerable in maintaining uninterrupted health care for themselves and their families. SPFPA™ Health and Welfare is a Blue Cross/Blue Shield program that includes a variety of affordable plan options that include hospitalization, doctor visits, major medical, In Network and Out of Network options, prescription drugs, dental, vision, long term, and short term disability. SPFPA™ members can compare the costs of SPFPA™ benefit plan with the company sponsored benefits at their time of collective bargaining. Benefits Specialists will meet with you and explain the options available to you, and assist you and answer. The SPFPA™ does not earn any money for providing benefits to members, but we feel it is important to offer plans as a service to our members and their families. SPFPA™ 401k Plan provides members with a range of investment based retirement savings options through Wells Fargo. The Plan provides for online enrollments, secured accesses to accounts, and has a full-time Retirement Service Center available to assist members with any questions. Does SPFPA™ have a Scholarship Program? Yes. Five $1,000 scholarships are awarded each year to SPFPA™ members and their families. Scholarship applications forms are mailed to every SPFPA™ Local, as well as posted on the SPFPA™ web site. Even if your contract or the law your union operates under doesn’t require it, everyone the union advocates for should be a full dues-paying union member. Why? Because you get to participate in decision making on contract negotiations and the rest of the union’s agenda; non-members do not get input and cannot come to meetings where important decisions are made or vote on officers. You send a message to the employer that the individual employees are standing united and behind their leaders in fighting for better wages, benefits and working conditions. Information is power, and being a member puts you in the loop. Plus, it’s the fair thing: everyone benefits from the union’s work, so everyone should make their financial contribution.